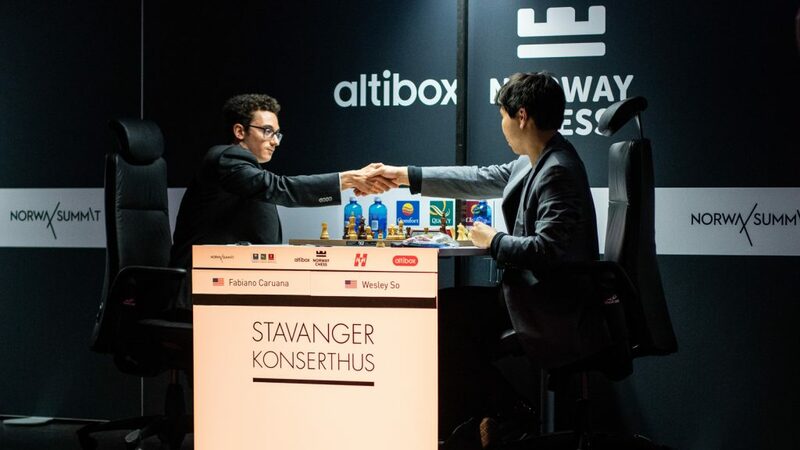 The latest edition of Stavanger’s Altibox Norway Chess is complete, and it was an odd ride – especially for Ding Liren, who injured his hip in a bicycle accident, and had to drop out of the event after three rounds. Shakh Mamedyarov was also a bit of a ghost, arriving with toothache and being dogged by sleep problems. Check out previous columns by Jonathan Tisdall for Matt & Patt. 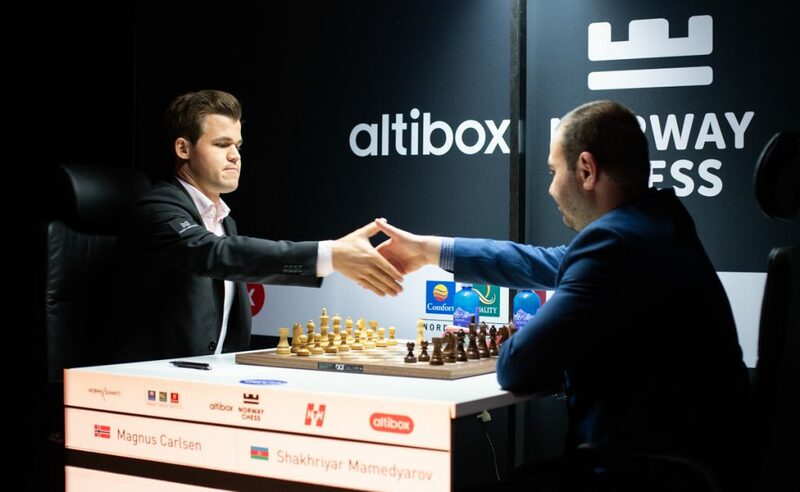 But the event as a whole had plenty of chess drama, and was yet another perfect build-up to the coming title match when the world’s clear top two will clash for the first time since Kasparov-Karpov days. 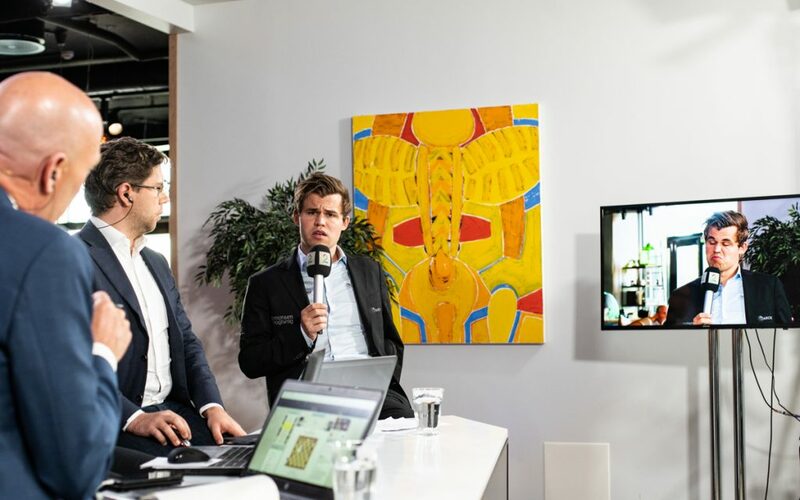 Magnus Carlsen laid down a couple of clear markers in his direct encounters (blitz and classical) against challenger Fabiano Caruana, and the local favorite started majestically with 2.5/3 and games that smacked of Carlsen’s absolute top form. Then that odd malaise set in again, as did the newest chess trend, supreme form and turbo-charged finishing from Caruana, who left the champion in the dust for the second time this year. 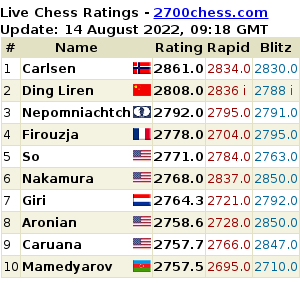 While the ridiculously close – a last round Caruana win prevented a five-way play-off – race for first has been covered by all the usual sources, if you weren’t following the local Norwegian language coverage and some leaked tweets, you probably missed some off-the-board color. The champ stirring up debate – unavoidably in the Internet age – with his recurring habit of answering questions with occasionally uninhibited honesty. I’m personally not a fan of false modesty, especially from champions, where it seems both almost improper, not to mention unsuited to keeping a champion mentality. But sometimes, especially in these hysterical social media days, a bit of creative evasion might be worth cultivating. «To be completely honest, not much usually happens in those games (vs. So). At least, I can’t remember that he has come anywhere near beating me,» he told TV 2. Indeed, the US transplant is known for a rather submissive history against Carlsen. «There are positives and negatives with that; if I want a draw I often get it quite easily. If he has no ambitions it won’t be easy (to win). A draw tomorrow is no crisis, but I would very much like to win. 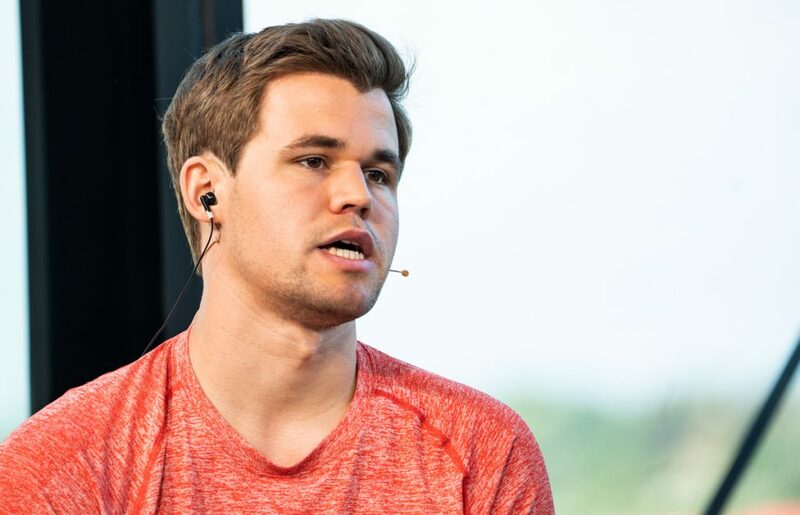 So’s greatest strength is that he is very solid, and very difficult to beat,» Carlsen said. I still don’t see the controversy or even any offense in those reasonably qualified comments. 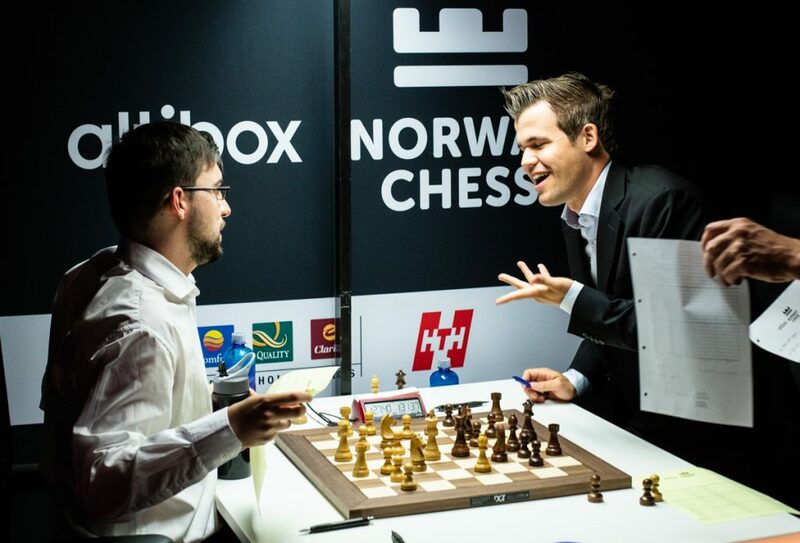 They do look fateful (and fatal) when So scores his first win over Carlsen the next day. Perhaps they motivated the American, maybe they did reveal a tendency to ignore danger from the Norwegian. You always take risks by going on record. But the only bits that looked forward had holes – the future usually surprises – So was very solid, but the shocker was how much ambition this disguised this time. 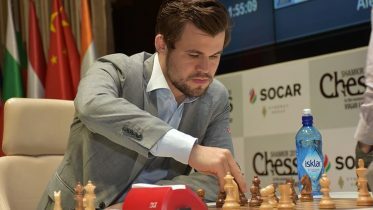 Magnus had two days to stew over this defeat, first came a rest day, then in round seven his ‘bye’ against Ding Liren. To keep himself occupied he spent roughly 90 minutes as the host of the TV 2 live coverage of the event, and besides a torrent of expert commentary, he set off a few more controversies every time someone else in the studio asked him something. While watching Mamedyarov play So, Magnus admitted to being naive by nature, and how he only learned in 2014 that players could play very slowly in order to simulate surprise, when Svidler explained to him that a very lengthy Grischuk think was actually camouflaging looming preparation. 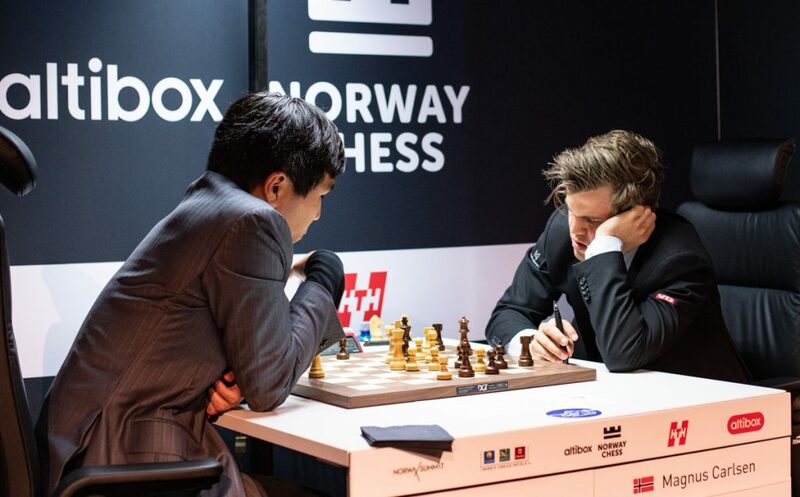 The conversation then turned to the wild game between Mamedyarov and Karjakin earlier in Stavanger, which turned out to be prepared analysis by both sides, and Magnus was off. 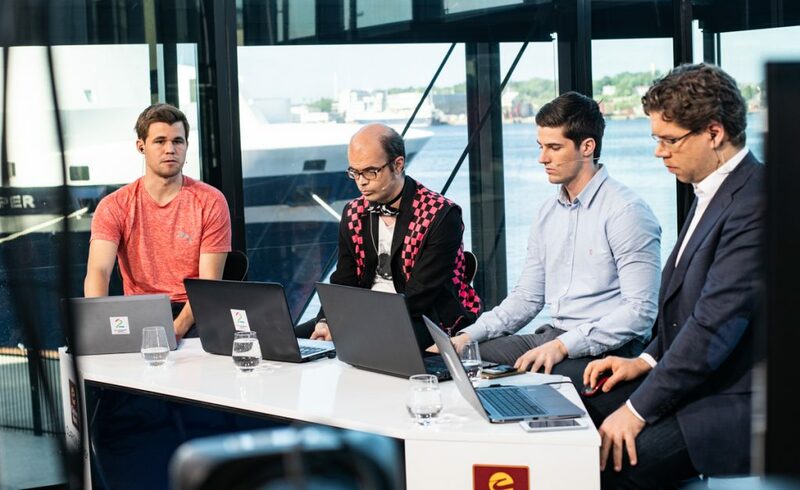 TV 2’s reaction to this revelation was not just to prod Magnus further a bit later, but also to botch an interview with Karjakin, who was told Magnus accused him of arranging his game with Shakh – which is not what he was talking about – he said they agreed draws in the past, and any spectacular draws between them could well be from their joint preparation. Sergey denied any collusion with his second and training partner. The discussion became further confused when Karjakin told TV 2 he thought things like this happened about 5% of the time – a number so large that I am sure he was referring to draws resulting from mutual pacifism and not fully choreographed games. He quickly ended the interview when he sensed things were getting confused. Mamedyarov did confirm the World Champion’s allegations about pre-arranged draws in a follow-up interview by TV 2. «Sometimes it’s a possibility. When I play against my team friends, Radjabov, too many times we made draws. We have studied chess together too many times. We just play once every year. Sometimes we do it, yeah, before the game. But normally chess players around the world do it sometimes, not every tournament, but sometimes you are not in mood and you play white and you think draw is okay. But normal for the fun of chess it’s better with fighting chess and just to play chess,» he said. Asked about whether he considers this sportsmanship, he said he didn’t feel this was any different than making draws after 10-15 minutes. Now that’s pretty inflammatory stuff, especially since it is easy to believe and nearly impossible to prove. The whole brouhaha brought several things to mind. In olden days, the major source of top information was the Chess Informator, and these regularly featured games and references where misleading annotations were inserted into drawn games or theoretical positions. This was a sinister ploy in an age where everyone had to work everything out for themselves, and published choreographed draws often included camouflaged traps – a state of affairs with echoes from all of Magnus’s anecdotes. There is a kind of history of games as disinformation. The other is the general problem with draws in top events. Nowadays there is even a common type of ‘fighting draw’ that is little more than two players comparing their computer printouts and seeing if both can remember them. How much does this happen? The basic problem is that chess is quite a drawish game, and the best solution is probably to watch shogi. I can see no way to force peaceably minded players to fight as things are (Karjakin suggested knock-out events as a solution), and there is even less hope of proving that flashy draws are scripted without Orwellian surveillance. For chess fans, there is the eternal cycle of considering rule changes until things liven up with some thrilling games, whereupon life goes back to normal. The most practical solution? Invite fighters to events; and hold more events with fresh faces. I am sure there is already a segment of readers beginning to shout their displeasure about the champ’s dull outings in Stavanger. The fine line that he is drawing between bloodless draws and fully prepared (drawn) games is well illustrated by a story that Jon Ludvig Hammer told during this lively program. JLH recalled how he had gotten a knock on the door of his hotel room on the night before the final round of a tournament in Sweden, and found his opponent, who wondered if they shouldn’t just agree to make peace the next morning. The Hammer angrily turned his opponent away. However, needing only a draw with white to clinch first place, JLH quickly steered the game into safety and a handshake the next day, leaving his opponent baffled. «There is a big difference between arranging a draw and being happy with a draw,» Hammer explained. A nice coda to the story is that JLH complained to the organizers about the late night offer, but they were too annoyed with his dull game to do anything about it. What else did the champ get up to during his hosting stint? 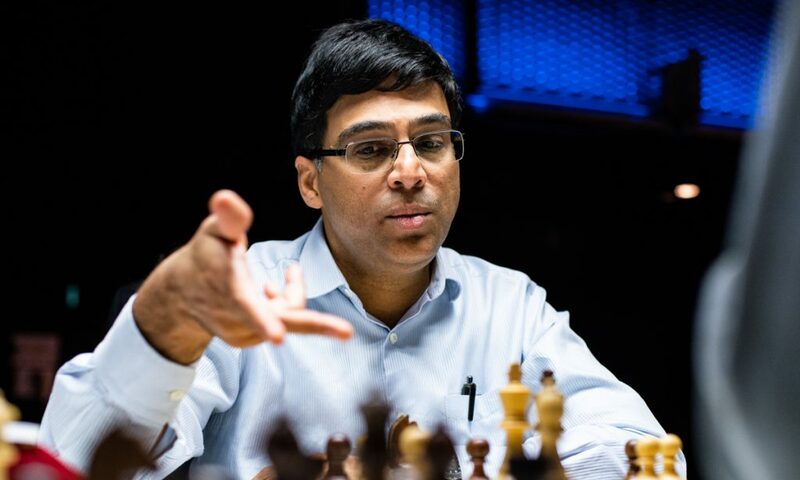 He fielded a question about Vishy Anand with both care and lavish praise, when asked to evaluate how history would rate the Indian world champion. «Personally I have been involved with Anand quite a bit, I had several training sessions with him between 2007 and 2010 and I cannot deny that I was extremely impressed. 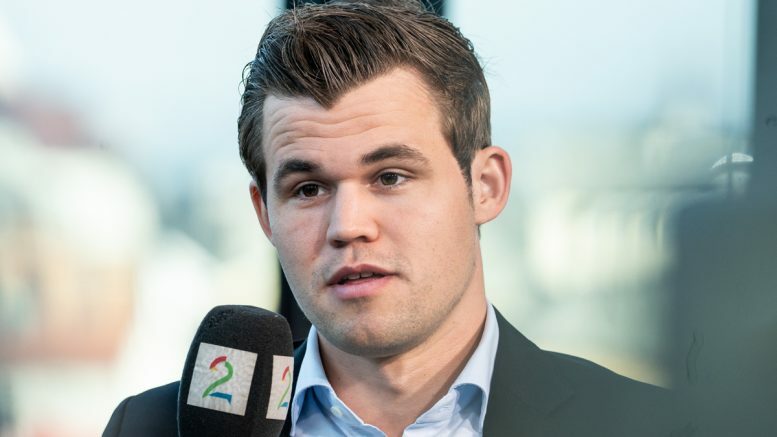 I never felt so bad at chess as when I played training games against him,» Carlsen confessed. Norwegian TV viewers naturally felt they got tremendous value from Magnus’ guest appearance. 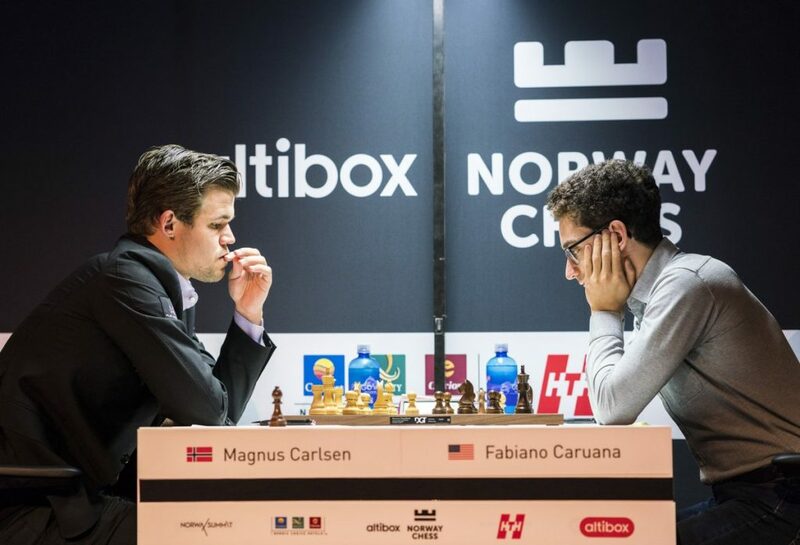 When the dust settled a few days later, Altibox Norway Chess ended in another victory for challenger Fabiano Caruana, the best compensation for the annoying one-on-one setbacks there at the hands of the champion. I leave you with the American’s closing remarks to Norwegian broadcaster TV 2. «I was lucky in this tournament. This game (against So) could have gone any way. I could have lost it. It was a lucky victory. I’m very relieved – even if it would have been fun with a playoff too,» Caruana said. That last sentence is a knowing reference to seeing high stakes tussles with Magnus as an entertaining prospect. This year’s title match can’t come soon enough.